Baseball has history. Baseball has integrity. And, perhaps most important, baseball has Cracker Jacks. They’ve been serving the molasses, peanut and popcorn snack at ballgames since 1896. (Hot dogs joined the ballpark party in 1916.) So when it came time for the Marlins organization to reimagine the cuisine at Marlins Park, they were wise to not mess with a good thing. But, boy, did they make it better. Welcome to The Club presented by Dex Imaging (marlins.com/theclub), the park’s revamped first-class lounge. The decor is contemporary (designed by Edge of Architecture), and the vibe is cool (expect live DJ sets). There’s even an in-club view of the batting cages that allows you to get in on the action before the first pitch. The premium bar offers a rotating craft cocktail menu that pays homage to ballpark favorites. 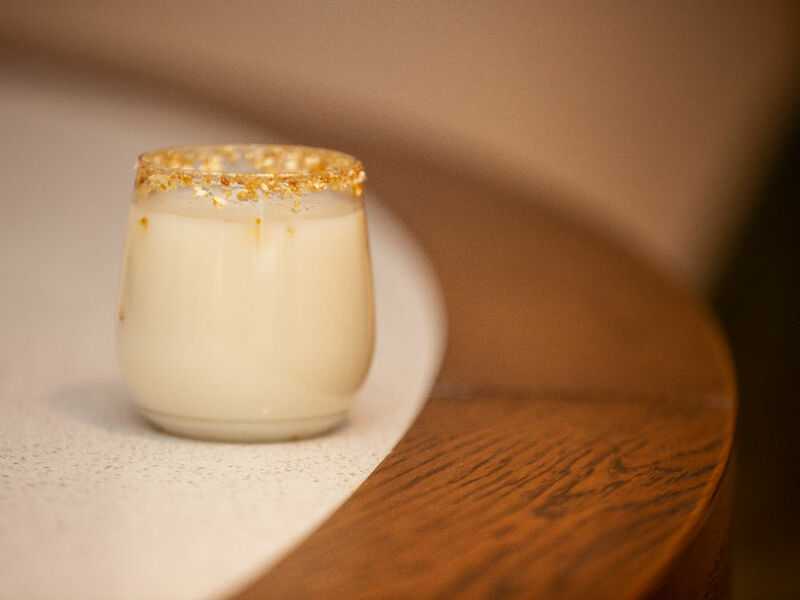 Case in point: the Cracker Jack Colada (pictured above), Oakheart Spiced Rum, butterscotch schnapps and pina colada mix served with a rim of crushed Cracker Jacks and caramel syrup. Over at the food station, executive chef Michael Finizia delivers all the flavors of Miami in bitesized formats (Florida shrimp and crab rolls and Korean barbecue lollipop wings are standouts). But the culinary upgrades spread well beyond the first-class lounge. Because as Chip Bowers, Marlins president of business operations, says, the new Marlins Park is for all of Miami. Additions to the promenade-level concessions include exclusive—and delicious—partnerships with La Pepa and Butterfly Tacos y Tortas, both from José Andrés’ Think Food Group; made-from-scratch empanadas from Novecento; and for all the locals out there, the one and only Miami’s Best Pizza. Over in the sweets section, you can munch on bubble waffles topped with ice cream and, you guessed it, Cracker Jacks. It’s a home run.